Forget Boris Bikes – this is the public transport innovation I really want to see in London: bus stops as designed by Yahoo. They have games in them. 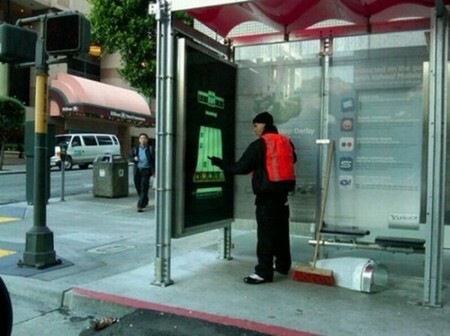 Introduced by Yahoo in San Francisco, these bus stops have big touch screens on the side of the shelters where people waiting at the the stops can play games by tapping the touch screens. The neighbourhood with the best score at the end of a certain time gets a free block party sponsored by Yahoo. Not only will these amuse the bored, I bet it will also reduce crime.. (why graffiti something when you can play PacMan?) and just brings some joy into the cold world of waiting for public transport. Please can we get these in the UK? PLEASE? Finally, an iPhone stylus shaped like a huge retro pencil! Those ARE great! Especially if these are on your commute, which can be a drag. 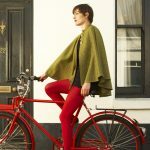 I bet the time waiting for the bus will seem a lot quicker!